Firebrand exiled Lawyer Dr Miguna Miguna has faulted Gatundu South Member of Parliament Moses Kuria for plotting to come up with a political Party for Mt Kenya region. According to Miguna Miguna, Moses Kuria is trying to become a tribalist, who should be crashed. He says there is no Country in the world called Mt Kenya. 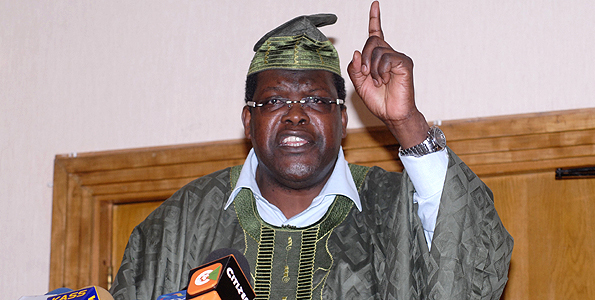 The controversial Lawyer says The Constitution of Kenya, 2010 does not allow tribal, ethnic, jingoistic or regional political outfits, urging Kenyans to crash tribalists. Moses Kuria has been quoted promising to "register a political party for Mount Kenya." There is no country in the world called 'Mount Kenya.' The Constitution of Kenya, 2010 does not allow tribal, ethnic, jingoistic or regional political outfits. Let's crash the tribalists! Kuria has declared his interest in 2022 Presidential election in what seems to be a plot to succeed President Uhuru Kenyatta as Mt Kenya region’s kingpin. The lawmaker has not however declared the Party he will use as his political vehicle despite showing interest in Democratic Party which has hence dismissed any claims of Kuria being its flag bearer. do so cos he’s planning to form a mungiki party – his constituency is the bedrock of mungiki and that’s the foolishness that comes from that region..
from KIBAKI TO UHURU TO KURIA TO KAMAU TO KINUTHIA ……………… ARE THERE NO OTHERS FROM OTHER REGIONS?